Few armies lend themselves to magnetization like the Tau. And fewer still can do it as cheaply or as easily. 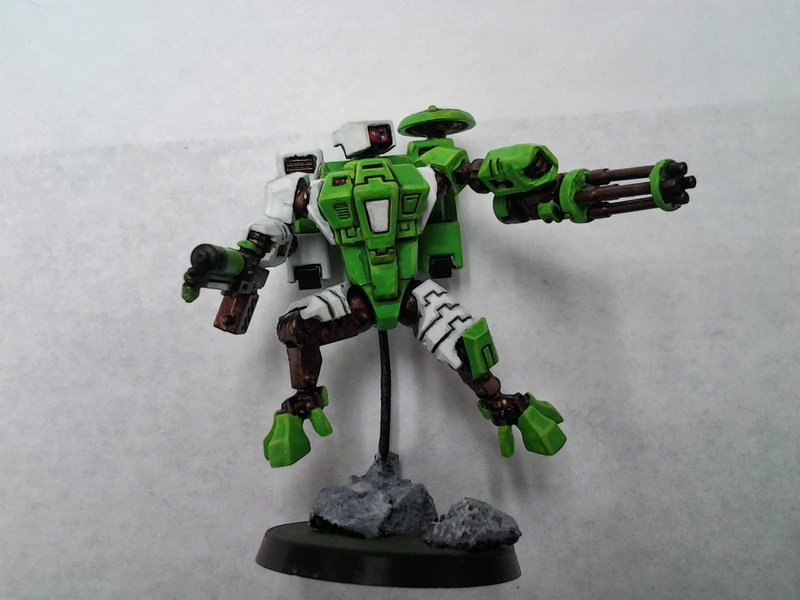 Tau crisis suits are so incredibly versatile, that magnetizing them is almost mandatory. What will you do after you've glued on that multitracker or flamer? Counts-as models are always a little bit of an admission of defeat, because you wouldn't pay enough money to have all the correct models. 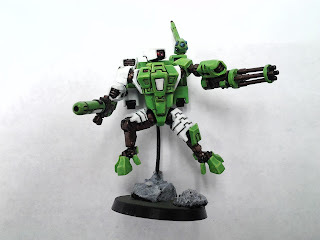 However, using magnets maintains your ability to switch out weapons/systems on your battlesuits, without forcing you to buy extra battlesuits or weapons. You can also use magnets to make your devilfish/hammerhead/skyray interchangeable. An excellent tutorial on magnetizing your vehicle chassis can be found here. I will be focusing on the XV-8 battlesuit, but magnet techniques can be adapted to just about any model. Obviously, size is a limitation, and we don't want our weapons falling off everytime we move our suit either. I have found the most cost effective solution for myself to be magnets sized at 1/16" X 1/8" of at least N48 strength. These will run you about $10 for 50 of them, and Amazon can be a great resource for this common size. If you want smaller, you can go with a 1/32" X 1/16" but you'll likely have to double up in some cases to maintain strength and you'll have to go to dedicated modeling sites like Miniwargaming or the Warstore and probably many others that I have not happened upon. The advantage of the smaller magnets is that you can put two in and arrest the attachment's rotational motion, guarding against further scraping or chipping. 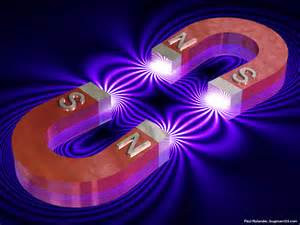 Magnets have two poles: positive and negative. Positive sides will always attract to a negative side but will repel another positive surface. 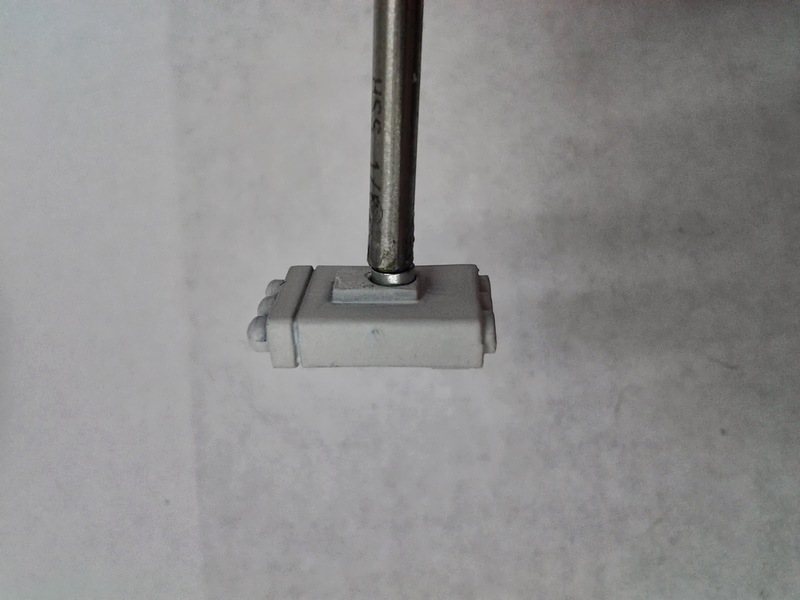 A common mistake when magnetizing is to glue magnets into both surfaces with the same polarity external. Then the pieces repel eachother and you have to dig one of the magnets out and turn it right side around. To avoid this, the first thing you should do when you get your magnets, is to mark them. It does not matter whether you mark negative or positive, just so long as you mark the same side on each magnet. This is simply done, paint the top magnet of the stack, remove it and repeat for the 2nd, 3rd, 4th, etc. I used a permanent marker to mark my magnets, but it does tend to rub off easily, and runs in the superglue. Be aware of this and always be double checking your polarity. It is good practice to triple check too. Believe me, I know. When you drill your hole, keep in mind that you need to be accurate and that you want "interlocking" components. If both magnets are flush with their surfaces you open yourself up to slipping and paint chipping. When you drill the hole on your base surface, drill approximately 3/32" in and then only drill approximately 1/32" on the attachment surface. This gives you a male/female relationship and will help keep your model's pieces from rubbing and scratching. These distances will obviously be dependant on the size of magnets you use. So, for example, if your magnets are 1/8" thick, you'll drill in 3/16" for a base. In order to maintain accuracy, use a sharp modeling knife point to notch where you want the center of your hole to be before you start drilling. 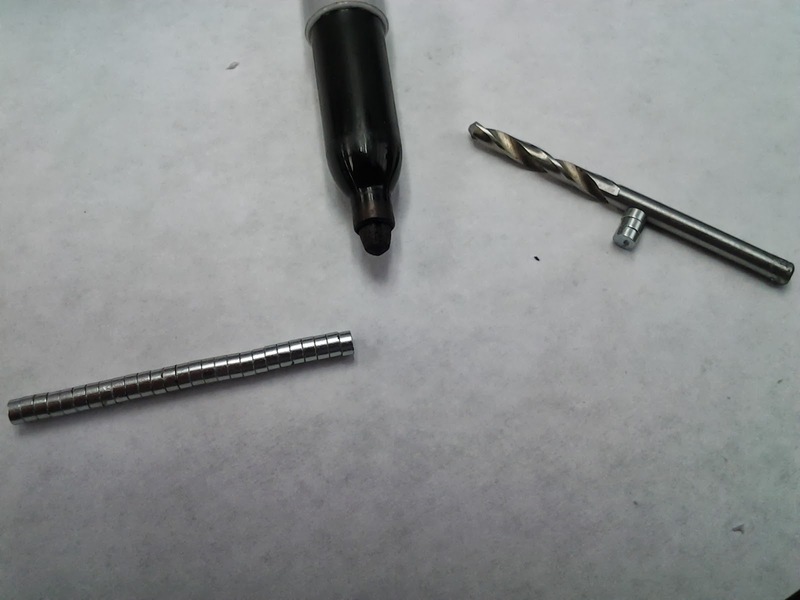 Drill bits have a tendancy to migrate away from the center when you start drilling, the notched starter helps keep the drill bit centered. But how do I know how deep I've drilled? Just attach a magnet to the end of your drill and put it in the attachment hole to test how deep you've drilled into the attachment. For the base, attach two magnets and do the same thing. In both cases you are aiming for about half of a magnet's width protruding from the hole. If you want to be super accurate, scratch a notch in the drill bit at exactly 3/32" and 1/32". Then when you drill you can see exactly how far you still have to go. The magnet check is usually enough for me, but some people want to be very very precise, and that is OK.
Once all your magnets are in and they are facing the right way, it is a thing of beauty to switch out weapons so quickly. There is one thing that you should keep in mind when magnetizing more than a single model: Consistency. If you do one battlesuit arm with the positive side external and the other arm with negative external, then the weapons you attach to each of them will be useless on the opposite arm and any other arm not magnetized exactly the same way. So when you are putting magnets in, choose a single method and stick to it! Every time you put a magnet into a base, make sure that the marked side is down, and every time you put a magnet into a secondary surface, make sure the marked side is up, or vice versa. It does not matter as long as you stick to it! You may have one set of weapons that works great for one suit, but not for the suit next to him. 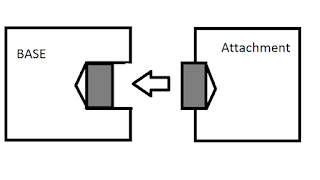 It's easier on you if every attachment can attach to every base. For example, a fusion blaster that can be attached to both a Crisis Suit and a Stealth Suit is more useful than one that can only be attached to one or the other. The same goes for missile pods, seeker missiles, support systems, etc. Magnetizing you army can be pretty time consuming and frustating. But in the end, it is well worth it. 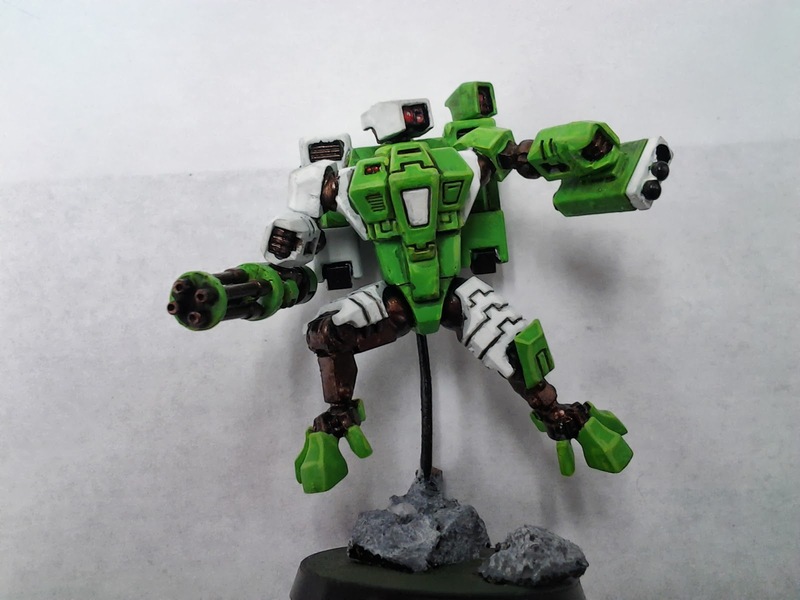 Your suits can handle any configuration and your opponent can never be a jerk and claim strict "WYSIWYG so your commander doesn't have a shield generator". It will impress everyone and is safer for transporting your models too! 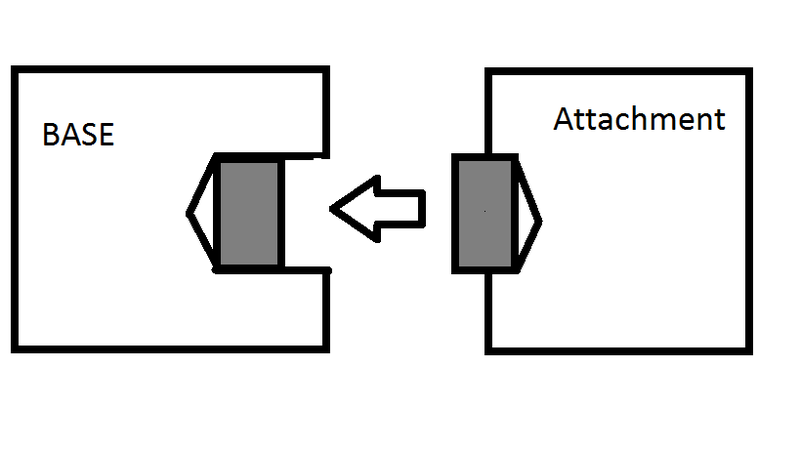 I hope this helps some people with the basics of magnetizing their army. If I missed any important aspects let me know! Thanks for the article I already use magnets, but until now I leaved my magnets at surface level, I will try with your advice of raised point of contact.